Verb. 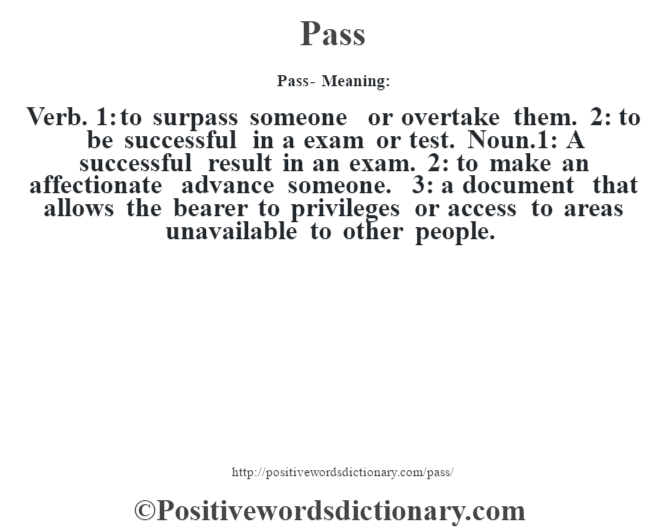 1: to surpass someone or overtake them. 2: to be successful in a exam or test. Noun.1: A successful result in an exam. 2: to make an affectionate advance someone. 3: a document that allows the bearer to privileges or access to areas unavailable to other people.